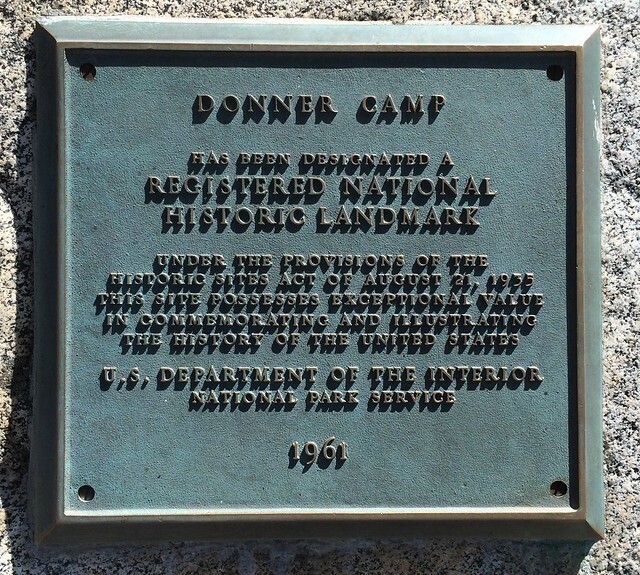 This site is located in the Donner Memorial State Park, Old Highway 40 at I-80 and Truckee exit, Truckee, California. 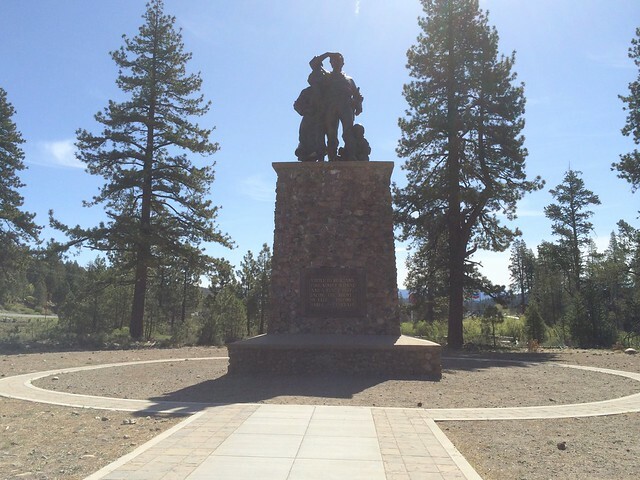 There are 20 other California State Historical Landmarks in Nevada County. The GPS coordinates for this location are N 39° 19.431 W 120° 13.877. 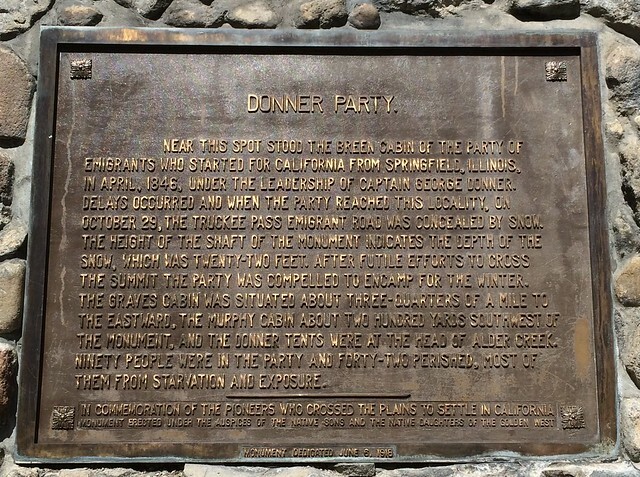 Commemorates the ill-fated Donner party of California-bound emigrants, who wintered here in 1846-1847, many died of exposure and starvation. Near this spot stood the Breen Cabin of the party of emigrants who started for California from Springfield, Illinois, in April, 1846, under the leadership of Captain George Donner. Delays occurred and when the party reached this locality, on October 29, the Truckee Pass Emigrant Road was concealed by snow. The height of the shaft of the monument indicates the depth of the snow, which was twenty-two feet. After futile efforts to cross the summit the party was compelled to encamp for the winter. The Graves cabin was situated about three-quarters of a mile to the eastward, the Murphy cabin about two hundred yards southwest of the monument, and the donner tents were at the head of Alder Creek. Ninety people were in the party and forty-two perished, most of them from starvation and exposure. Monument erected under the auspices of the native sons and the native daughters of the Golden West.